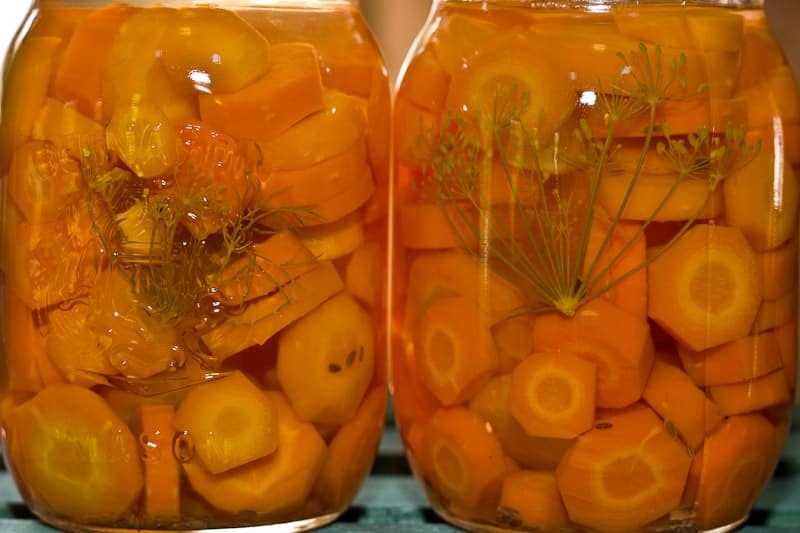 I am a big fan of ginger carrot soup so when I was canning our fresh carrots I decided to make some pickled carrots with ginger – why not! We cracked open a jar to taste test and we keep going back for more. That jar won’t last long. The fresh ginger and dill adds a touch of complexity and the flavours are subtle and delicious. Give it a try, you won’t be disappointed! Let your pickled carrots sit for at lease three months before eating for the best texture and flavour. This recipe uses the raw packed method which maintains the perfect texture, freshness and crunch in your preserves. Raw packing means that you are are not pre-cooking the carrots. The less heat that your preserves are exposed to the more nutrients and colour are maintained. The ginger and dill in this recipe is subtle but really brings out the flavours in the carrots. The colour is lovely and bright. If you are harvesting your carrots from your own garden, it is best to do this in the early morning or late evening when the sun is not too hot. For maximum quality and freshness don’t let your harvest sit around too long before you start preserving. If it does need to wait store your beets in a cool dark place. It is always advisable to follow directions carefully and read up on food safety if you are new to canning. 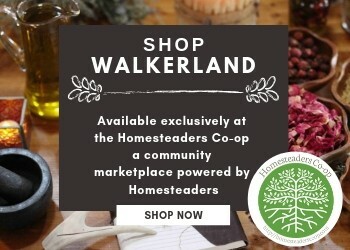 The National Center for Food Preservation offers many great research based resources for home canning and preserving. 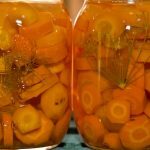 If you like this recipe you might also enjoy: Home Canning: Pickled Beets with Dill Recipe or Home Canning: Multi purpose Pickling Brine Recipe. Scrub your carrots and wash off all dirt. Trim the tops and bottoms and peel the skin off with a sharp knife or potato peeler. Slice the carrots to your preferred thickness, try to be consistent. Mix your brine in a pan (vinegar, water, salt, sugar). You will want it hot but not boiling. Taste and adjust the brine according to your taste. You can add more sugar if desired. Just be careful because carrots are naturally sweet. Clean and prepare your work area and wash your jars in hot soapy water and rinse well. Get your canner ready to go. Fill each jar with carrots leaving 1/2" head space. The head space is the neck or threaded area on the jar. Add a sprig of dill weed, dill seed, and a chunk of ginger to each jar. Ladle in the brine. Remove air pockets by gently running a knife or a chopstick around the inside of the jar. You might need to top up the brine a little bit once you have removed all air pockets. Wipe the jars and rims and put the lid and tighten the rings. 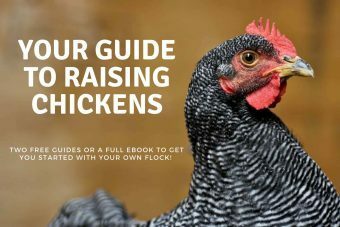 Set them in your canner. Follow the instructions that come with your particular jars and canner for processing pickled carrots. If you are using the steam or water bath method process for 15 minutes, turn off the heat and carefully remove the lid. Steam can cause burns so use caution. Let the jars cool for 10 minutes and then using a jar lifter carefully lift them and place them on a cutting board or towel to cool completely. Once the jars have cooled for 24 hours, check their seal. You should hear the occasional pinging sound as they are cooling that gives you an auditory confirmation that your jars have sealed. If you look at the lid of the jar, you should notice that there is a small bump in the lids. This bump depresses as the jars seal "sucking it down". All of the lids should be sucked down. If you press on the center of the lid and that bump pops up, they are not sealed properly. If you should have an issue with a jar not sealing, refrigerate it and eat within a few weeks. Remove the metal rings and wipe the lids and jars with a damp clean cloth. Store the jars without the rings in a cool dark place. Note on Vinegar: When it comes to pickling you need to follow some rules. Vinegar MUST have 5% Acetic Acid by volume. The bottles you buy will note this on the label. The best vinegar that I have found is Presidents Choice "The Natural Vinegar". It is derived from grain spirit produced by the natural fermentation of sun ripened grain, then diluted with natural spring water to an ideal strength of 5% acetic acid.Note on Salt: We use pure sea salt but you can use other types of salt as well. Whatever salt you chose ensure that is has one single ingredient in it. Salt. Many such as iodized salt have anti caking agents added to them and this will make your brine cloudy.Notes on Brine: We don't like to use a lot of sugar and our brine recipe reflect this. Whatever brine you do make, be sure to taste it first. I have made the mistake of following a recipe only to make a dozen jars of something no one in the house likes! The brine imparts a flavour into the final product so taste and adjust accordingly.Note on Sanitation: The most important rule of canning is cleanliness and processing food for the correct amount of time. Wash and heat everything sufficiently with hot water and soap!